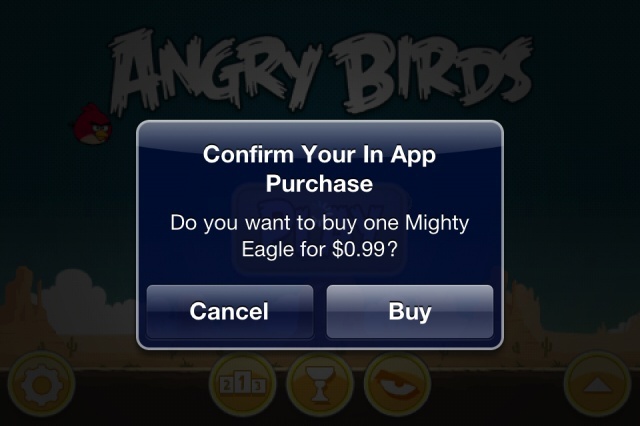 Apple has recently added a new ‘in-app purchase’ flag to its Apps in the iOS App Store that work on a freemium based model, that is those free or paid Apps that rely on in-app purchases to progress quicker in the game. The new flag appears under the Free/Buy button to warn users that such apps may need additional restrictions to avoid unexpected costs. It is not surprising that Apple has taken such a move to raise awareness of Apps with in-app purchases given the various horror stories of parents receiving huge bills from their kids purchasing additional items without their consent. “Apple has made a small but significant change to iOS app listings on its App Store, adding a prominent “Offers In-App Purchases” line for freemium apps on its store. The new tagline is currently only appearing in the desktop version of the App Store that sits within iTunes. For now, it’s not shown in the iOS App Store app, nor does it appear on webpages for iOS apps. Despite Apple offering safeguards for parents to protect against other users purchasing additional in-app items without their consent, Apple is continually getting blamed for such bills, and even having to refund almost all appeals against the costs. It is hard to understand exactly how this is Apple’s fault; alright, so the implementation could be better, but there is only so far a company should have to go with their due diligence before it is down to the consumer to add their own protection. In the current version of iOS you are required to enter your Apple ID password to verify an in-app purchase, but if the password has been entered in a specified time period previously then it will not ask for it again. There’s still some work to go, and while the addition of the text warning in the App Store is a welcome move in the right direction, parents should still be careful of letting their kids play with their devices without turning off in-app purchases specifically.